This year, I’ve been incredibly lucky to visit some beautiful tea plantations, like the ones I went to in Kenya and Rwanda. I’ve seen a lot of tea fields in my life, yet I still discover breathtaking landscapes that resemble nowhere else. 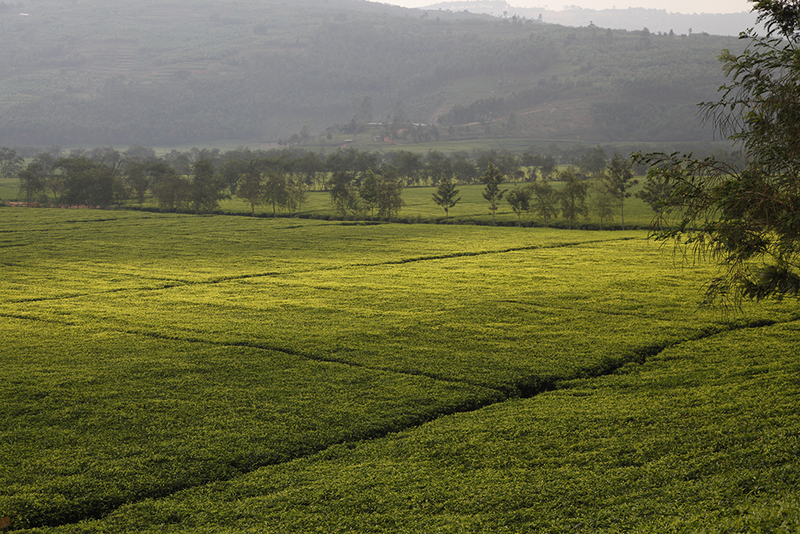 For example here, in Rwanda, tea grows not on hillsides, as is often the case, but at the bottom of the valley. The valley in question may lie at an altitude of 2,000 metres, but even so, it’s flat. And it’s still hot enough here for dense vegetation to surround the tea plants. In this “Land of a Thousand Hills” you’ll find incredible scenery, but also some remarkable and little-known teas. If you want to taste the tea that grows here, and feel connected to this beautiful place, it is called “Rwanda Silver Mist“, a powerful tea with fairly fruity, spicy, honey notes. It is a delicious discovery, a door that opens onto a very beautiful corner of our planet.